Just like for the NES, the Famicom was tested in Nintendo repair shops using test carts. The test carts would essentially tell you whether or not some part of your Famicom setup was working correctly. There were several test carts, for such things as the console itself, and separately, for the controllers. 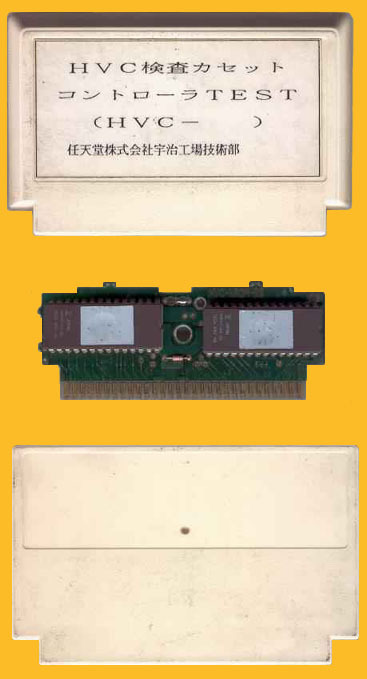 The image below shows a Famicom test cart, with the second half of the HVC code left blank, for whatever reason. Famicom test cart and board.